Our directory is a human-reviewed, niche business directory dedicated only to gardening related websites. Perfect for related sites to help them get direct exposure to their website and also boost their search engine rankings - click here for more information on the benefits of listing your website in our directory. We have 2 levels of listing:- - a FREE Bronze listing with a reciprocal link to us, where there is no possible reason not to add a link to your website. Gold listing full of SEO benefits (search engine benefits). You get your own design / creative related personal page where you can link out to as many as 10 external web pages - and add up to 20 hi-res images too. This is all very easy to do with a friendly WYSIWYG editor. Search our directory for all your gardening needs. 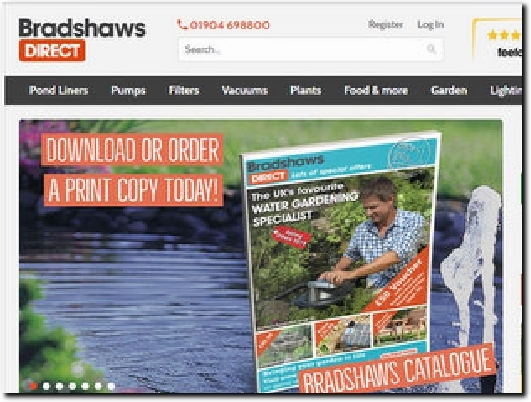 A York-based company selling everything required for a garden pond, both online and at their shop in York. Tabs lead to the wide range of products available, with prices given. There are links at the foot of each page to useful information such as Terms & Conditions, FAQs, and Delivery and Returns information. Customer Praise leads to testimonials from satisfied clients. Company registration and VAT numbers can also be found at the foot of each page. Here at Swish Home Improvements, we offer home improvements, windows, doors, porches, conservatories, composite doors and residential doors to clients in the North East. To find out more information on our products then be sure to contact us today. A Middlesbrough-based company which installs conservatories, porches etc. in the north-east of England and North Yorkshire. 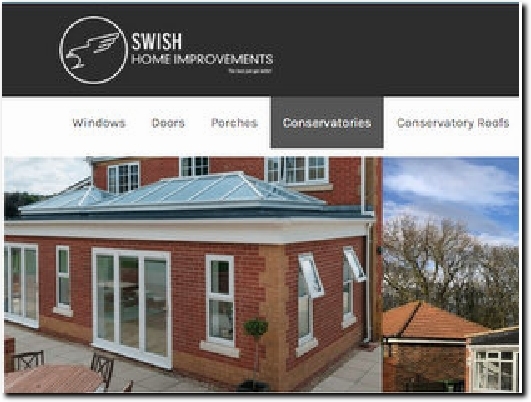 Tabs lead to information about the business and about conservatories and replacement conservatory roofs - contact Swish for a free quote. Contact Us has the business address and location plan, phone and e-mail details and a contact form. Members of Checkatrade. 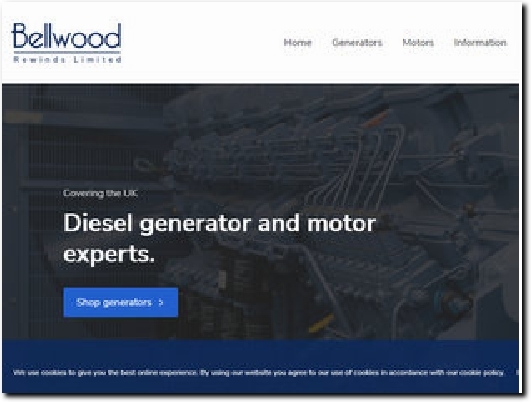 A company based in Hartlepool and etablished in 1998, supplying new and used generators to customers throughout the surrounding area. They also service and repair generators. Tabs lead to information on delivery terms and customer reviews, while Terms & Conditions can be found at the foot of each page. Contact has the business address, phone and e-mail details, a location map and enquiry form. Secure payments processed by Sagepay. Artificial Grass Direct offer a wide range of synthetic grass products as a lawn replacement solutions to create low maintenance garden. All our grass replacement products are hard-wearing and durable. Contact us today for more information. 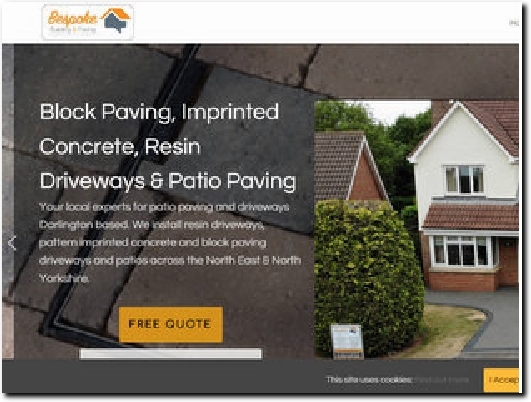 Looking for driveways, imprinted concrete or landscaping in Darlington or surrounding areas in and around County Durham? A company specialising in driveway and patio paving of various types, operating within a fifty-mile radius of their base in Darlington. The Services tab leads to information on the three types of paving available, including videos of their installation, while Gallery has photos of work in progress and completed contracts. Contact Us has an enquiry form, the business address and phone and e-mail details. Good Checkatrade rating. 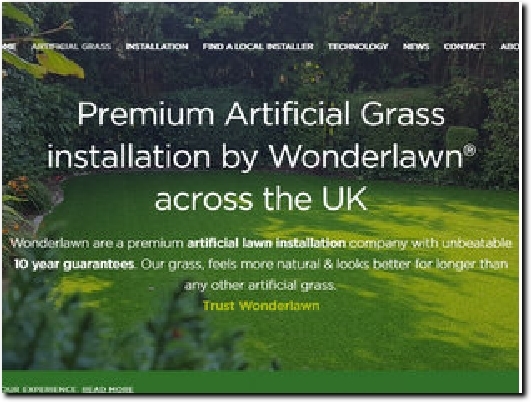 Wonderlawn are an artificial grass installation company, fitting lawns across the UK. We specialise in premium artificial grass and it's installation. Free quotes and samples available. A company with its head office in Newcastle, which supplies and installs artificial lawns throughout the UK for domestic premises, schools, commercial customers etc. The Artificial Grass tab leads to information on the grass types available and their suitability while Installation takes you through the stages involved and has a link to photos of completed lawns. There is a map to help you find your local installer. Contact has the business address and e-mail and phone details. At the foot of each page is a link to Warranty details and also to FAQs. 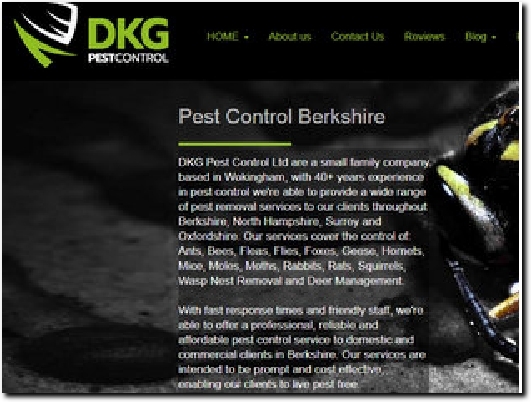 A family business with over 40 years experience in pest control, operating in Berkshire, Surrey, Oxfordshire and North Hampshire, and tackling anything from ants to deer. Both domestic and business customers are welcome. The Home page has links to the various pests with another tab for treatment prices. There are lots of positive reviews on the site while Contact Us has the business address and phone and e-mail details. All major debit and credit cards are accepted. 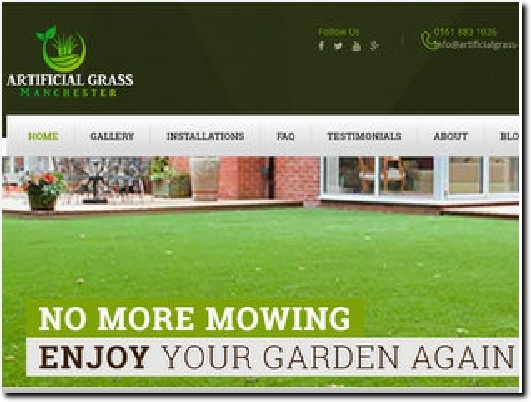 Artificial Grass Manchester are experts in artificial grass installation and cover the Manchester region. As well as Fake Lawns, for the home, they also install artificial play surfaces for schools & sports facilities. A company which has been laying artificial grass in Manchester and the surrounding area for over 10 years. 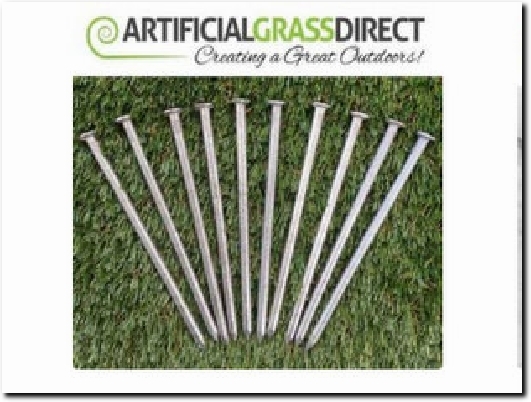 Tabs lead to information about installing artificial grass for residential and other types of customer, photos of completed projects and Testimonials. FAQs answer a range of possible questions, while Contact Us has the business postal address along with phone and e-mail details. 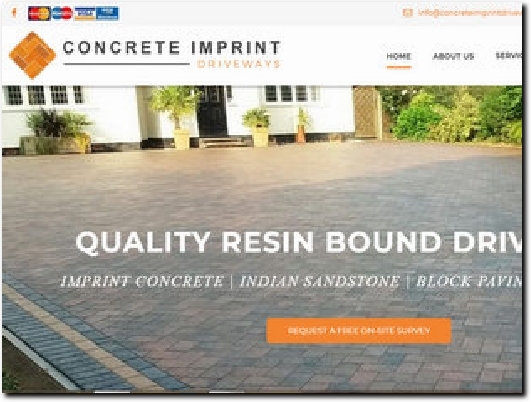 Our team would like to shed a little bit more light into our team and our beliefs, from our quality of work to providing FREE quotes, Concrete Imprint Driveways are by far the specialist to call for all your paving needs. See The Best Quality Garden Buildings For Sale Right Now at Our Showroom. Est 1979 Impeccable Customer Feedback. Don't Accept Second Best! A family-run business based in Surrey, established in 1979, with a showroom open every day at Sutton Green, Woking - use the Directions tab to find your best route. A wide range of buildings are available, many of which can be ordered in a choice of sizes. Use the drop-down for the type of shed you want and then select from the range of available sizes for the price. 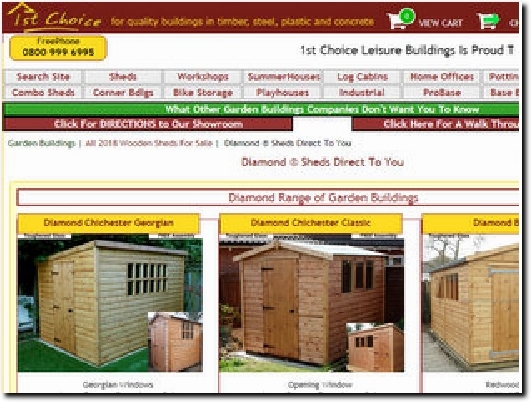 There is also a separate price sheet for the timber sheds and garages. Lots of general information can be found on the Home page, including a link to customer reviews. Contact Us has a contact form along with phone numbers and further down the page has the e-mail address. It also has a phone number and details of the garden buildings display site. Luxury rattan outdoor sofa sets and chairs, with a range of colours, shapes and sizes to buy online with UK delivery, choose the Rattan Sofa Sets Shop. 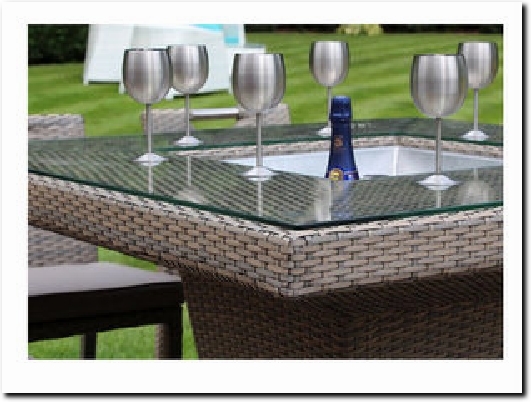 Online retailer of rattan furniture for gardens and conservatories. with a showroom at Sapcote Garden Centre, Leicester. Tabs let you search by Type of item, Size or Location of Use, and all items are priced. Clicking on Browse Our Range gives access to Delivery Information and Terms and Conditions at the foot of the page, while Ask a Question Online leads to FAQs. Contact Us can also be found here and has full contact details. Payment taken online via a range of credit/debit cards. 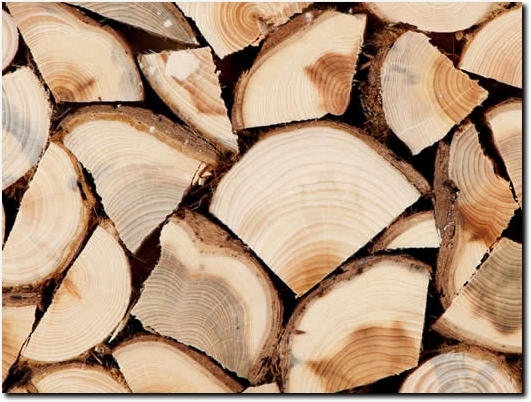 Chislehurst-based company offering a wide range of tree-related services for both domestic and commercial clients. 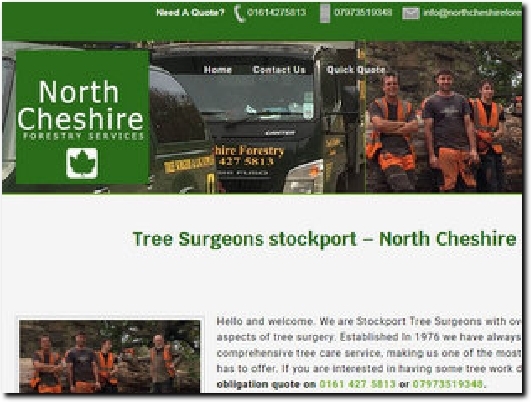 All their tree surgeons are NPTC certified, which is the industry standard qualification. Contact Us gives phone and e-mail details along with an e-mail enquiry form. Free quotes given. We provide low cost skip hire throughout Sussex for your home and garden needs. If you're redesigning, renovating or just having a general clearout, get in touch for a quote today. Family-run skip hire company serving both domestic and commercial customers in East Sussex and part of West Sussex. It is a registered waste carrier complying with all current legislation and is listed on the Environment Agency's public register of approved waste carriers. 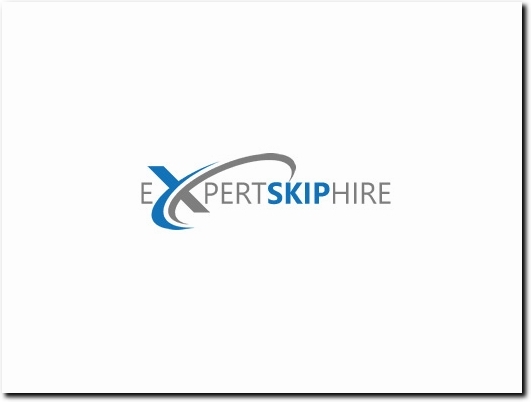 Skip Prices gives the hire charge for various sizes of skip, while Hire Info details what can be put in the skip along with other useful information. Contact has the business address, phone and e-mail details and a contact form. The Company Registration and VAT numbers can be found at the foot of each page. 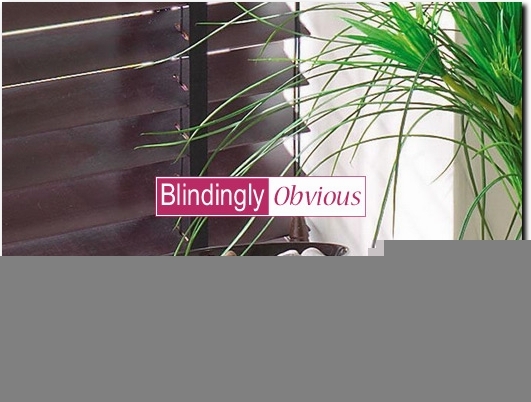 Supplier based in Dartford, offering a wide range of bespoke blinds for conservatories and elsewhere. The Blinds tab leads to information on the various types supplied, while Gallery shows them in action. FAQs gives more information and allows you to ask a question of your own. Contact has the business address, phone and e-mail details and a contact form.